Inspired by the passages where Jesus gets in Peter's boat (see Luke 5), tradition has seen the Church as a new Noah's Ark - a chosen vessel of the Lord for salvation and safety as we travel the floods and seas of this life. 1 Peter 3:20 ff. compares the Ark and floods to the Christian sacrament of Baptism. 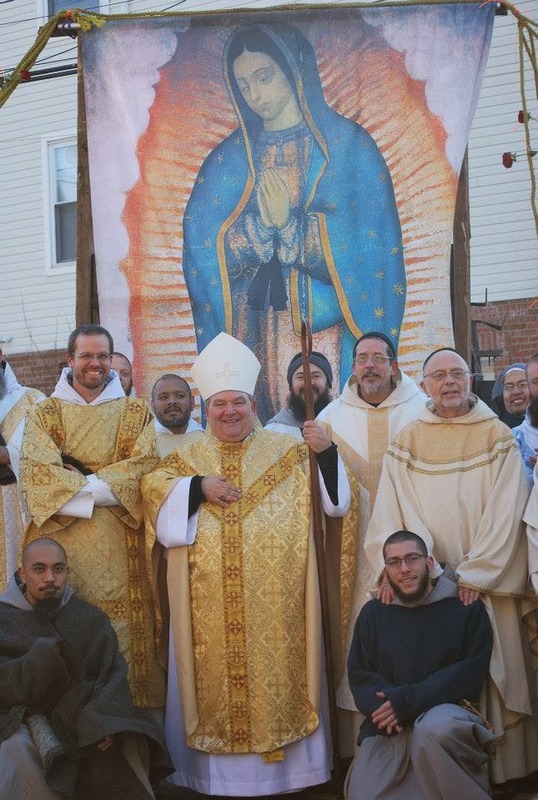 With the help of Newark's Coadjutor Archbishop Hebda, we had a spectacular celebration of Our Lady of Guadalupe this year. Answering the call of Pope Francis to go out into the streets, our Br. Simon cooked up a holy scheme. We placed a huge banner of Our Lady on the back of a truck. 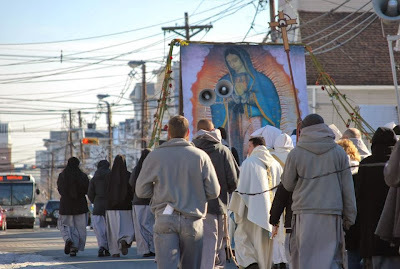 We followed her through the streets of inner-city Newark singing and praying with joy and enthusiasm. The wind billowed the image which appeared as a great sail, empowered by the Holy Spirit, pulling a sailboat through the streets - an image of the Church. She is pregnant with the baby Jesus, an apropos Advent image.